In the same year as the excellent Vanguard, SNK’s 6502-based “Rockola” hardware played host to an altogether different kind of game. Fantasy was a rather unusual game. Eschewing the usual spaceships and aliens in favour of a distinctly more “human” setup, the game actually made an effort to tell a story as it progressed. An extremely simple story, yes, but exceedingly ambitious considering this was 1981. HOW ARE YOU? I’M FINE, THANK YOU. AAAAAAHHHHHH. In Fantasy, you take on the role of Tom, an adventurous type in a hat who is very much in love with a girl named “Sherry” (or “Cheri” as she became known in the American version). After the immortal exchange recreated above, Sherry is kidnapped by pirates, so it’s up to Tom to jump into his hot air balloon and save his loved one under increasingly ridiculous circumstances. Fantasy is particularly noteworthy for not leaving the player doing one thing for very long. There are eight different stages before Tom is finally reunited with Sherry, and each plays slightly differently. With this being an ’80s arcade game, however, even the first one might seem monstrously difficult on your first few attempts, so don’t expect to see the whole story right away without a few continues! Tom’s adventure begins with him flying his balloon to where the pirate ship is waiting, just off the shore of the deserted island where he and Sherry have apparently been living. The task here is simple: land on the pirate ship’s deck. Unfortunately, the ship is firing cannons in three directions — diagonally, and directly upwards — so if Tom is in the wrong place, his adventure is going to come to a very premature end, since cannon balls wait for no man! This first stage initially seems very difficult, but after an attempt or two you’ll notice it’s entirely pattern-based, so you can take full advantage of this knowledge to deftly avoid the incoming shots every time. 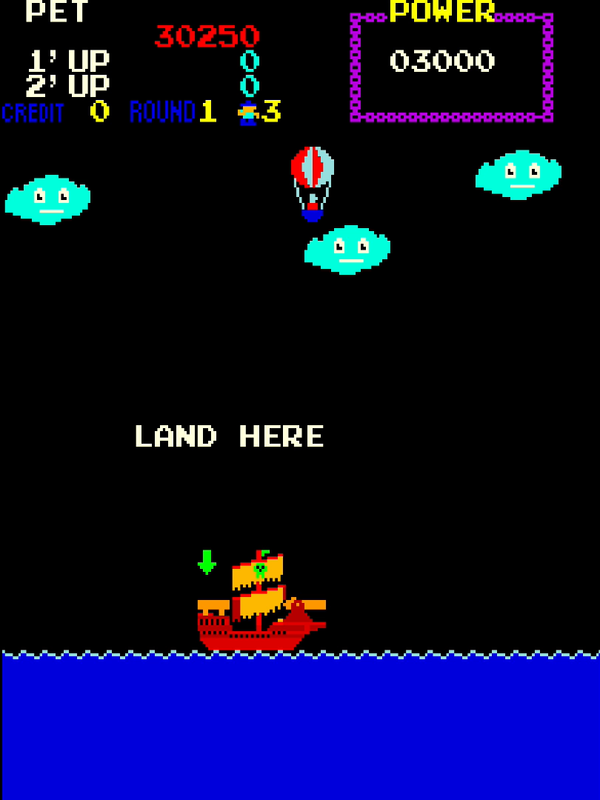 Subsequent loops of the game increase the difficulty by making the pirate ship move while you’re attempting to land on it, but the principle is the same. After successfully landing, Tom has to infiltrate the ship and rescue Sherry. Here we see one of Fantasy’s most unusual design choices: the fact that it involves combat, but has no “fire” or “attack” buttons. Instead, you must defeat the pirates in one of two ways: either walking horizontally (which causes Tom to automatically swing a sword as he moves) or luring them into the path of small defensive cannons, then triggering them by crossing their line of sight. This sounds like it should be very straightforward, but keeping your eye on your own position, the position of the pirates and the dangerous areas covered by the cannon all at the same time can quickly become overwhelming if you don’t focus. Sherry is snatched away again just as Tom reaches her, and thus begins another hot air balloon sequence. This time, Tom must avoid flying dragons and giant gorillas throwing coconuts. If you can time your approach so that a gorilla throws a coconut and either takes down a dragon with it or drops it back on his own head, you score additional points. Mostly this is down to chance, however, as you’ll have your hands full dodging; once your “power” meter in the corner of the screen (which acts as a timer in the previous two stages, and also represents the bonus points you receive for completing the stage) reaches 3,000km, you move on to the next area. This time around, it’s a platforming level of sorts — though obviously without a button, it’s mostly about climbing rather than jumping. 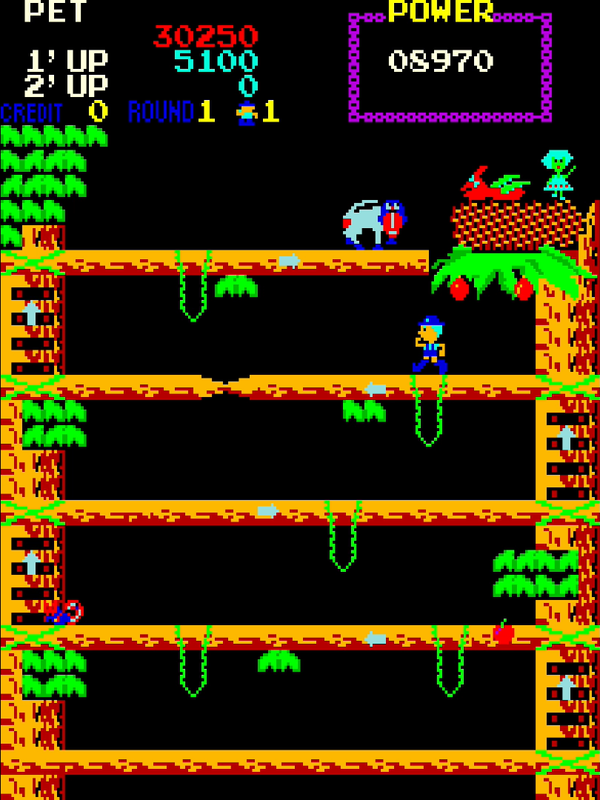 You must make your way to the top of the screen to rescue Sherry from a dragon’s nest while a baboon is flinging apples at you; again, success here is mostly about spotting patterns and timing. And once again, Sherry remains out of Tom’s reach — she gets snatched away by cannibals, featuring some vaguely racist synthesised speech informing us that, yes, indeed, “oom walla walla walla, oom walla walla”. Next up, another horizontally scrolling sequence, this time with Tom proceeding on foot through another jungle, this time for 2,000 km (I bet his thighs will be chafing a bit after that) while attempting to avoid strangely adorable tigers approaching from behind him and what can only be described as “things” emerging from the undergrowth on either side of the path. This sequence is inexplicably accompanied by a short synthesised loop of the main riff from Funkytown by Lipps Inc, which continues into the next stage where we finally take on the cannibals themselves. 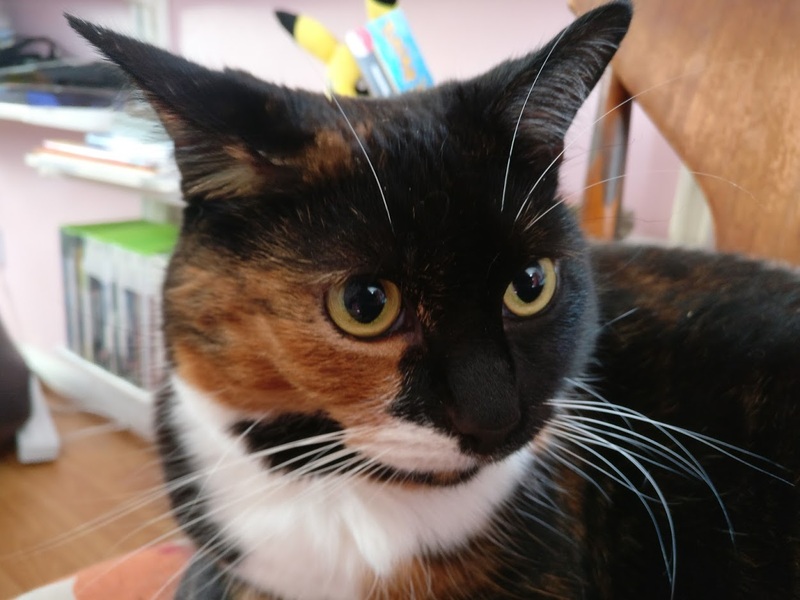 Just a bit of reassurance: you are still awake, this is not a fever dream. The next stage unfolds rather like the pirate ship interior, with Tom moving around and being able to attack by moving sideways into his foes. The difference here is that the arena is much more open-plan, and some of the enemies do not emerge from their tents until their comrades are defeated. After they’re all dealt with, Tom is briefly reunited with Sherry, but then she is snatched by a helicopter (yes, really) and thus the final chase begins. Said chase is another scrolling hot air balloon sequence where you need to reach 3,000km, but this time your enemies are helicopters that fly horizontally from right to left, occasionally climbing or diving unpredictably. Once you arrive at your final destination — which is apparently Tower Bridge, London, for reasons known only to the kidnappers — it’s time for the final battle. The last stage combines a few familiar elements together. 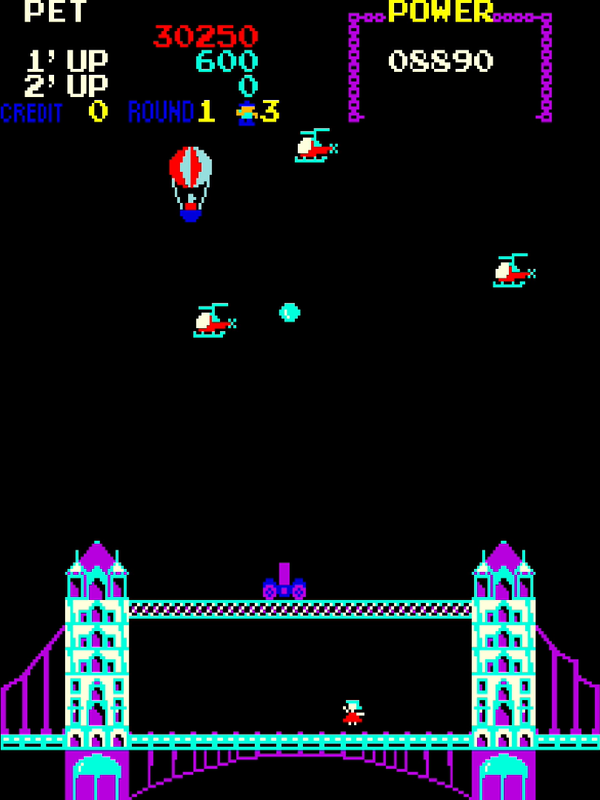 Helicopters fly across the screen and must be dodged, but there’s also a cannon moving back and forth across the top of the bridge. Crossing the cannon’s line of sight causes it to fire a shot straight upwards, so Tom must both make sure he’s out of the way and try and time this so that it shoots down a helicopter. Once all the helicopters are dealt with, Tom can land and finally be reunited with his true love. The whole thing then repeats from the beginning, but slightly harder. 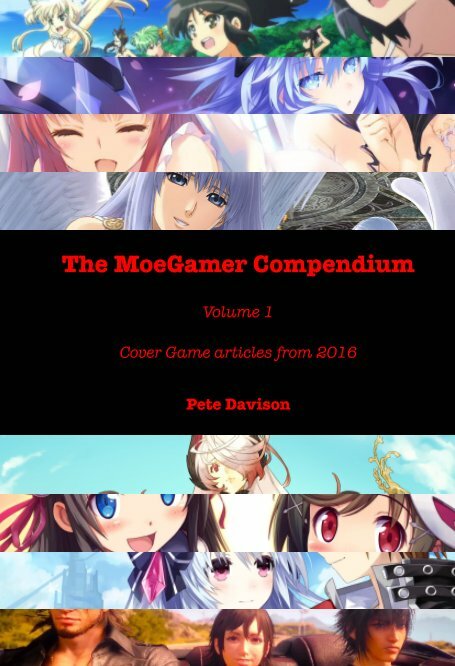 Fantasy is a really interesting game because of its ambition. At times it’s incredibly clunky, frustrating and borderline unfair, with some of the “dodging” sequences feeling more like luck than skill. 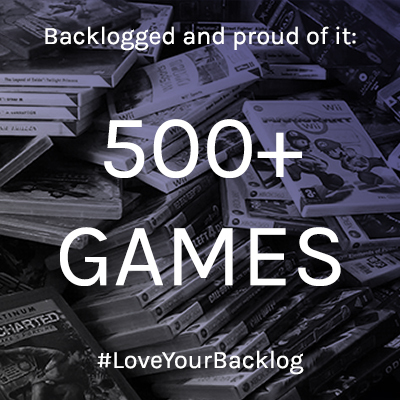 But it was extremely rare at the time to see a game that at least attempted to provide a sense of unfolding narrative — sure, the story Fantasy tells is dumb and nonsensical, but it provides a sense of progression and escalating danger as you work your way through it, with a satisfying sense of closure when you reach the end of a round. And you don’t necessarily have to be a particularly good player to see the story through to its conclusion once, at least; much like Vanguard, Fantasy features an early “continue” system (albeit somewhat less verbose than Vanguard’s) that allows you to pick up right where you left off by adding another credit (or just hitting Start in the case of the SNK 40th Anniversary Collection). But, again like Vanguard, this facility is only available to you during your first loop of the game; after that, if you mess up, it’s a hard Game Over and a restart from the beginning for you. 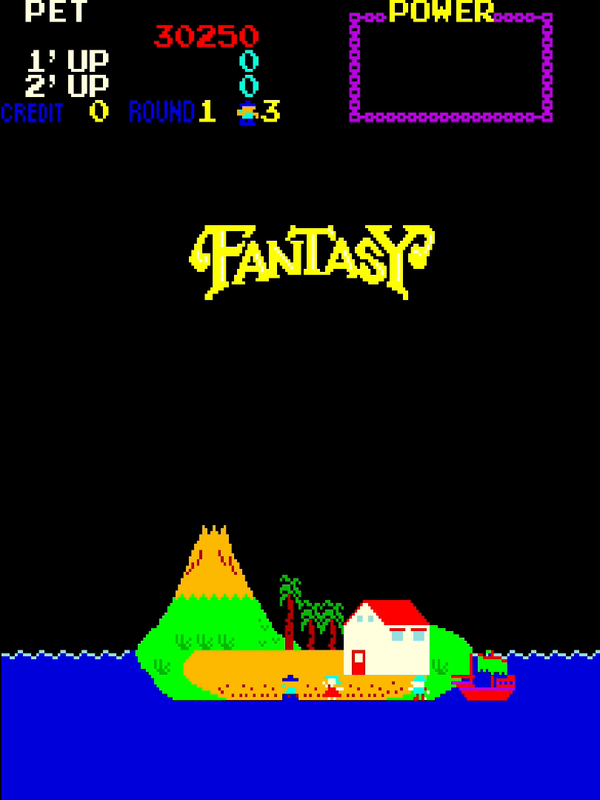 Fantasy has some questionable game design decisions along the way — most notably with regard to scoring, which is vastly inconsistent from stage to stage, with the long and difficult hot air balloon stages being worth just a flat 3,000 points at their conclusion, while the rather easy pirate ship stage can reward you with nearly 10,000 points if you complete it quickly — but it has a distinctive charm all of its own. 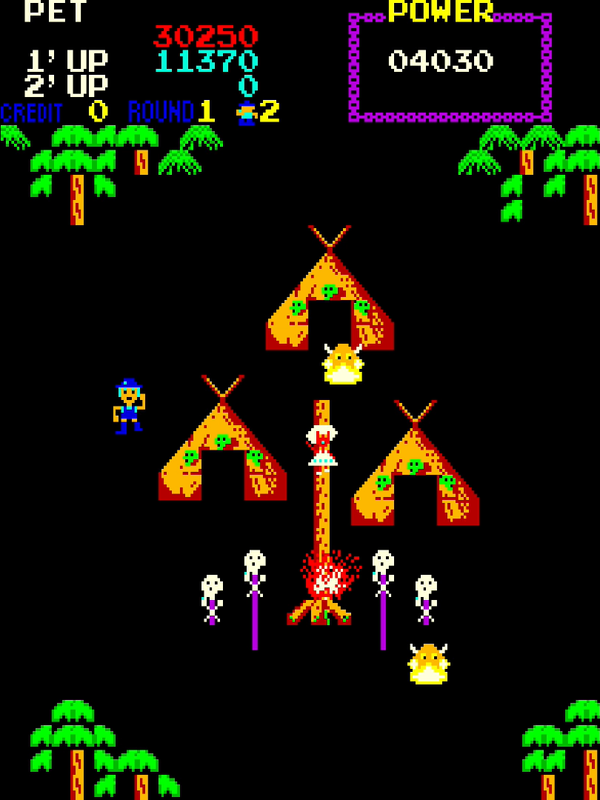 Structurally, it reminds me a bit of Taito’s Jungle Hunt, which came out a year later in 1982, but it’s considerably more ambitious than that in terms of the number of stages in a single round. 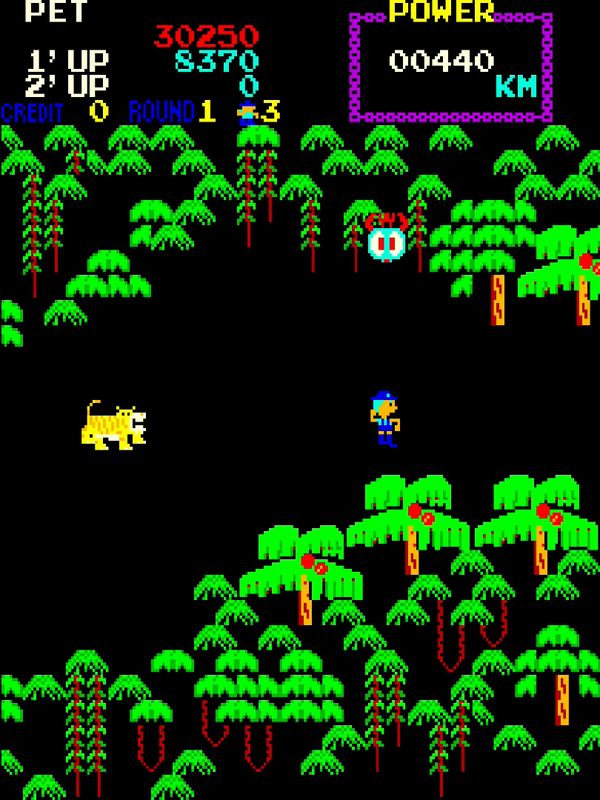 Plus Jungle Hunt lacks the romantic “HOW ARE YOU, I’M FINE, AAAAAHHH” exchange that opens every playthrough of Fantasy and is thus vastly inferior in every way aside from actual playability. Should you play Fantasy today? Sure. Be prepared for frustration and irritation, but the game’s overwhelming charm factor more than makes up for this if you have the patience to credit-feed your way through the first loop at the very least. And it’s not like its mechanics are broken as such; they’re just… a bit annoying. More than anything, though, Fantasy is a great example of a company getting really creative within the constraints of the hardware available at the time. I can’t think of another arcade game from the period that is anywhere near as audacious as this, and for that reason alone it’s worthy of at least a bit of your time… and a lot of your respect.